This complex is full of nature, lush forests, lakes and rivers in a large building of modern construction but with stone facade and natural elements to be consistent with your entorno. The complex combines various services available to guests, as a outdoor pool, perfect to enjoy the warm days and the privilege of being surrounded by mountains and nature. There are several garden areas , con outdoor furniture for guests to enjoy the outdoors and the beautiful views around while they rest and enjoy momento. There is also an area of ​​ playground ideal to travel with children para enjoy and have fun respecting nature. In addition, there is restaurant area , with a letter or daily menu of great quality and flavor, in which you will taste traditional and homemade meals. La cafe area has a large terrace para enjoy the good weather and a couple of portions or snacks have adapted bathrooms and parking privado gratuito. The rooms son spaces that combine modernity and rustic all have bathroom with hairdryer, internet access, heating and a mini bar, but more special are the views towards mountains and green areas that surround this building. Hay 3 types of rooms, doubles, triples and quadruples . The other option Lease bungalow with maximum capacity para 4 people , being equipped with kitchen , bedroom and living room. It has a small green zone perfect to enjoy the outdoors, landscapes where mountainous areas and green fields are combined. It has a modern decoration but follows the style of the whole complex, a mixture of modernity and a rural style. Room located in the central building, with a modern style but combined with rustic decoration. C loves marriage or 2 single beds. 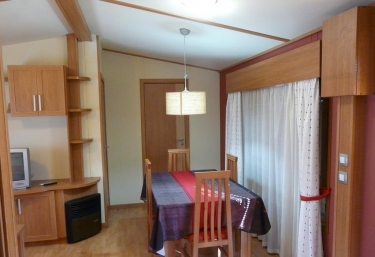 E s a very bright and spacious space, with wooden furniture and stunning views of nature. has a private bathroom with shower or bathtub . It has a small resting area with a television and heating. In addition to a desk ample in case guests need it and a large closet with plenty of storage space. This bedroom is located in the main building del complex and has stunning views to the outside to the mountainous landscapes and all kinds of nature. There are 2 room types , one with a bedroom with double bed and one single perfect for families with one child, and another room type with 3 single beds. A small rest area with a comfortable sofa and a desk in case guests need it. The bathroom is private with bath or shower . The stay has television, heating and the option to add a crib . This habitat has stunning views of the Aragonese Pyrenees and the green valley that surrounds everything is complex. It has 2 spaces shared and separated by a door, has a shared bathroom , a large sitting area and a desk . This accommodation is perfect for families with several children and even the possibility of adding a cot. 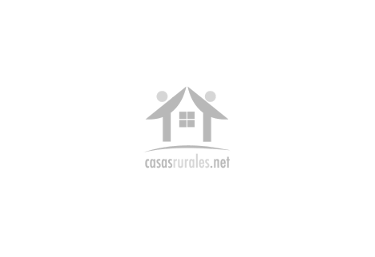 This accommodation type bungalow is located in the outer areas of this complex, is in full contact with nature and overlooking the mountainous and beautiful areas surrounding this complex. The master bedroom with double bed and a cozy style, has a lot of light and views to the outside. The second bedroom with 2 single beds and storage space. 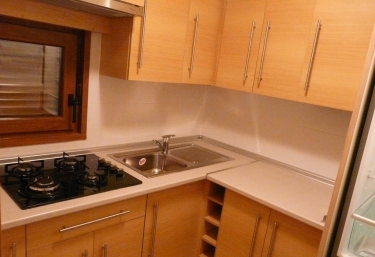 The kitchen is completely equipped , with fires, refrigerator and kitchen utensils. The dining room and living room are open spaces and communicated, with several sofas , television and a great table . The bathroom is complete and has towels and hair dryer available to the clients. The master bedroom has a double bed, with space storage and bed linen , is a room luminous y with exterior views. The common areas are the living room and dining room , they have lots of light thanks to a large window overlooking the mountains. The kitchen totalemente equipped y with the kitchen y elecetrodómesticos necessary. 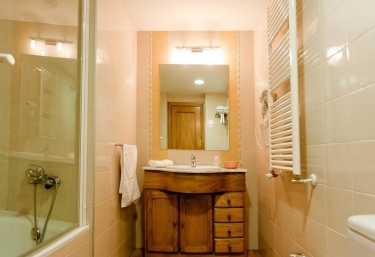 The bathroom has modern and very functional furniture, in addition to towels and hair dryer. The bungalow has a small perfect porch area to enjoy the outdoors. 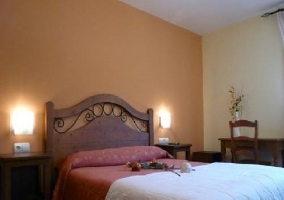 This accommodation is located in full Pyrenees Aragonese , in a municipality of Bielsa . It is a charming area, part of the National Park of Ordesa and Monte Perdido , a place full of nature that combines various landscapes such as mountainous areas with high peaks like X, and green areas such as the Valley of Pineta and Tella. Also the Natural Park Posets Maladeta is located a few kilometers away, a perfect area to enjoy activities such as hiking and mountaineering.